Over the past few weeks I have heard people talking about some new ranges in The Body Shop. I had also heard the word 'Apple' pop up in several of these overhearings I had been hearing with my little ears. Due to my severe lack of funds at the moment (mind I lost my job, then got a new yin situation) I had deliberately avoided looking in the store because I knew I would do some damage to the credit card. The Body Shop is clearly not just heaven but they also have little angels, this little angel is called Glasgow Fort. When they got in touch to ask if I would like to sample the 'Glazed Apple Body Butter @ £13.00' WELL YOU CAN IMAGINE. They are also mind readers. I have always, I repeat ALWAYS been a fan of their body butter. Mostly because they smell incredible and you can always smell it for hours later. But of course because they feel amazing on your skin. This mouth-watering Body Butter is a rich and delicious-smelling festive treat for softly-sweet skin. It contains Community Fair Trade shea butter. It literally smells incredible. I'm a huge lover of sweet scents and this is defiantly one of them. If you love apple sweeties, you will love this. NOT TO EAT OVB. Although you do want to. No honestly it's like your dripping in apple sweeties. You can rely on it making your skin feel amazing. Remember The Body Shop are known for making amazing Body Butters and this is no different. Contains community fair trade shea butter which is ovbs a good thing. This is a seasonal exclusive which breaks my heart. It's only available through out christmas. This means a few things, I will need to wait all year to buy it again. I will also need to stock up on it but at least you will have something to look forward to every year! Does not come in industrial sizes. If you want to smell and feel like an apple goddess then you might want to try this. 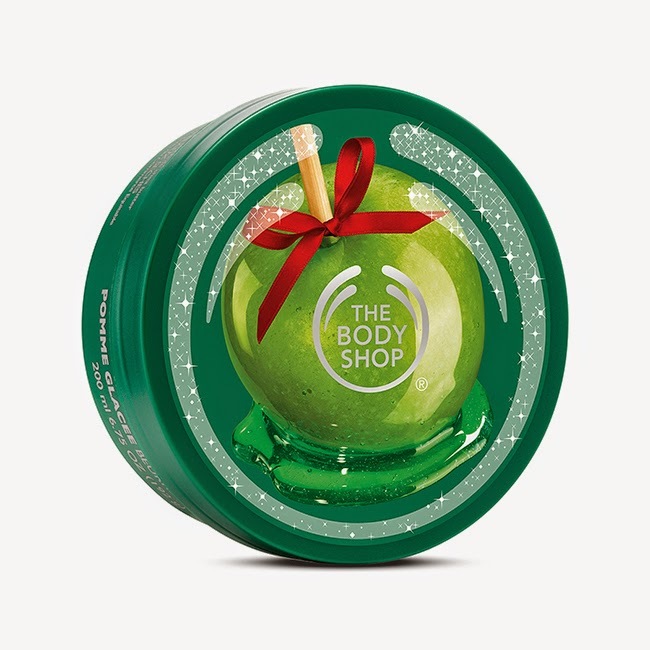 This is also a perfect stocking filler for the fellow apple lover and body butter queen. Grab some while you can! I'll smell incredible this christmas, will you?